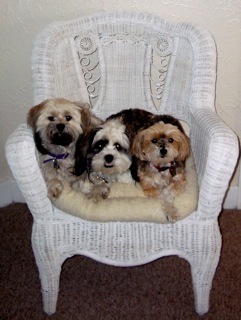 Enjoy my cute birthday apron from Joe…of course, the pack takes sitting on command to new levels of comfort!! The apron is by an artist in Glenwood Springs, CO. She is also on Etsy and if in the Denver area, her aprons are available at Silk Road Home Decor. 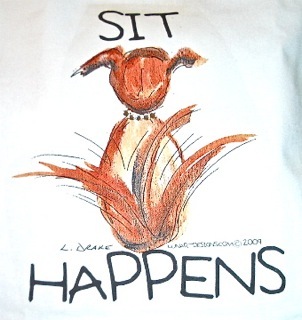 I love the “Sit Happens” !!! !